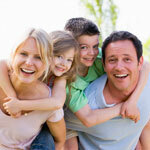 At Exquisite Smiles, all generations of your family can find the dental services they need at one location. 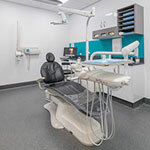 We can help you improve your overall oral health with general dentistry or achieve the sensational smile you’ve always dreamed of and everything in between. Talk to us about tailoring a treatment and payment plan to suit your budget. Health fund coverage can also be used for your visits with on the spot HICAPS processing available. We see all ages, from children and their parents to senior citizens. We’ll help your children learn from a young age that dental visits can be enjoyable and comfortable. The services we often provide for our young patients in addition to checkups include fluoride treatments, fissure sealants and custom-created mouthguards. Everyone wants to have a beautiful smile. That’s exactly what we strive for at Exquisite Smiles. Whether you have suffered from dental conditions or damage in the past or just want to improve the way your teeth look and feel, we can help. 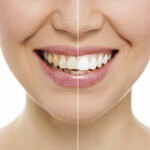 Services include: tooth whitening, ceramic veneers, tooth-coloured fillings and smile design. 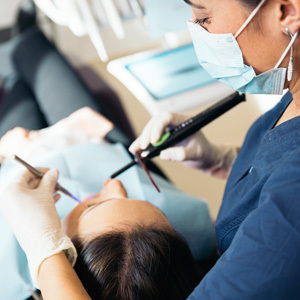 Do you feel stressed or anxious at the thought of going to the dentist? We want you to relax and let your fears go away. The sedation options we offer include: Inhalation, or happy gas, oral sedation, IV sedation (twilight dentistry). The Exquisite Smiles team are compassionate and understand that sometimes, you need to get out of pain quickly. We have dedicated spots in our schedule reserved to accommodate emergencies. Our first priority is to free you from discomfort. Then, we can discuss any future treatment needed. Prevention is better than cure. At your checkups, we thoroughly check your teeth and mouth to catch any problems early. If other treatments are necessary, we’ll discuss your options with you. 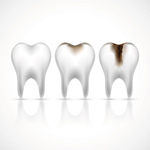 When no other solution can save your tooth, extraction may be necessary. It can be done under local anaesthesia, conscious sedation or at times, under general anaesthesia. 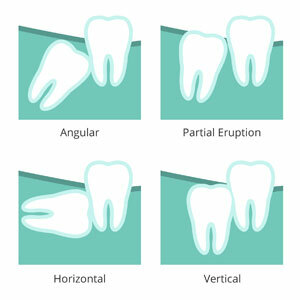 Wisdom teeth usually erupt in the late teens or early twenties. Removal of them is common and should be done before the teeth are a cause for concern. It’s a minor surgical procedure, and you’ll be kept comfortable the whole way through. Often, teeth can be saved from extraction with a root canal. If a tooth has been damaged by deep decay or injury, we hope to preserve the existing, natural tooth with this treatment. 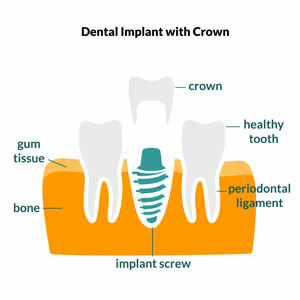 If your tooth is damaged, a crown can help you regain the strength and function of your bite. 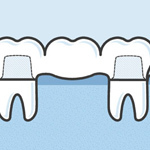 A bridge replaces one or more missing teeth, anchored onto adjacent teeth. Each procedure is easy with local anaesthesia available to keep you comfortable. Dental implants mimic the function and aesthetics of a natural tooth. We can also place them to support dentures. It’s a three-stage process, carried out comfortably under local anaesthesia.